I believe that sometimes basic means principal and essential. Basic things are oftenly easy to do and trivial, so many would tends to forget and passed over it. Whereas, if you noticed and cared about this basic things you'll figure out, even the trivial have great use and will help you simplify your life. And so this post, I'll try to recover the basic function of computer mouse that rarely used. Yep, I bet you're familiar with it, but sometime the users fetched all up sitting with their behaviour without realizing that there are a lot of more unique functions of the mouse that will impress you. Opening new tab with mouse scroller. When browsing the internet most people averagely opening a page in new tab by right clicking of their mouse and choose "open in new tab". This is not efficient when you can use only the mouse scoller to do it. Simply point the mouse to the link and press the mouse scroller, the page will be opened in new tab, and this works almost on all browser. Now, forget the old way and Try Me!! Zooming in or out of windows size with mouse Scroller. You are now viewing this page in normal windows size, am I right? Then try to zoom this page in or out, please! Press the Control button on your keyboard and sroll up your mouse scroller... Now the page is zoomed in, right? Scroll down your mouse to zoom out or return to windows normal size. Now, You'll see what I mean. With a little help or Control button on your keyboard you can zoom in or zoom out the page with mouse scroller. Not just in browser, it also works on most computer programs like MS Word, MS Excel, Notepad ++ and more. Automatically scroll the page to move by itself. You may also use the mouse scroller to scroll down or up the page to move with a certain speed. Now put the pointer in the center, then click on the mouse scroller once (and release it), wait for the arrow button to show and shift up/ down the mouse a little, the page will auto scroll with a certain speed depending on how fast you shift the mouse. Auto Selection on Text. Well, pointing and selection is the mouse main function and no question about it, but selection on text is lesser known and used. 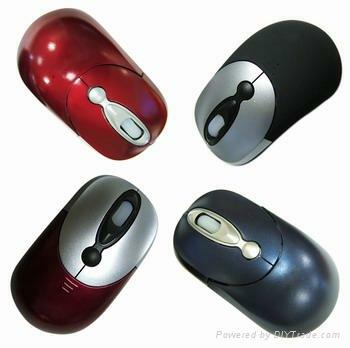 The mouse can also be used to select text automatically per word or paragraph. To auto select a word just double click on desired text, now doubleclicksme! And to auto select a paragraph just triple clicks on desired paragraph, now tripleclicksme! Renaming a file or folder. Beside Auto Selection on Text, you may rename file or folder without accessing the pop up menu. Just double clicks the desired file/ folder, but use a gap 2-3 seconds delay before the second click. Minimizing and Maximizing windows with double clicks. By default windows provides the minimize and maximize button on the top right of a window next to close button. But because of the position is a bit hiding in the corner, sometimes it's quite bothering. Forget the old way to use the buttons to minimize or maximize the windows, but use the double clicks instead. Just double clicks on the title bar to minimize or maximize it. Drag and Drop. Well, there's no pretty unique function actually. But just to remind that using this drag and drop is simpler and saves your time. Well, those things are easy to do but not to be neglected. Life is pretty hard already, let's just make it easier.